Home Comics Get Ready! The Flash and Supergirl crossover episode has officially begun filming! Get Ready! 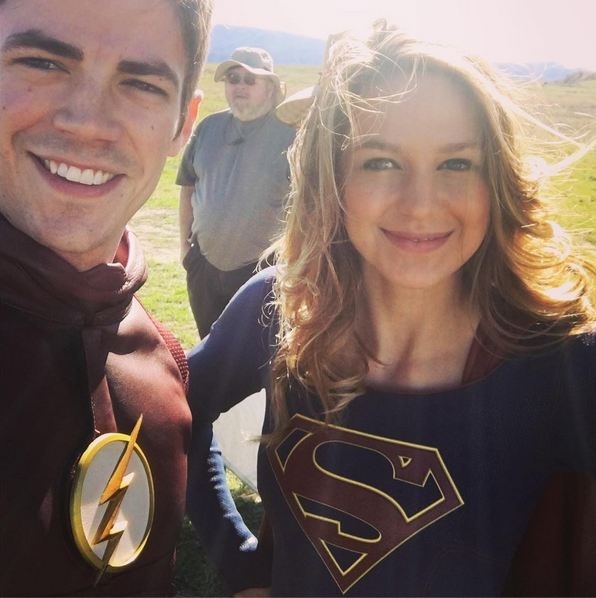 The Flash and Supergirl crossover episode has officially begun filming! Fans of DC Comics and its Television properties, prepare yourselves! 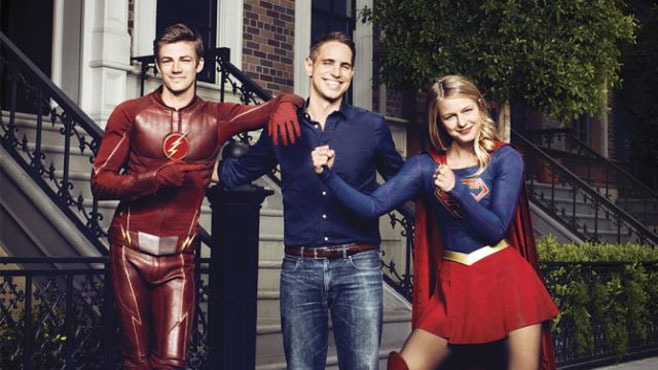 Warner Bros., DC Entertainment, Berlanti Productions along with The CW and CBS have OFFICIALLY begun their production work on one of the biggest television crossovers demanded, as Grant Gustin of The Flash has arrived on the set and town of Melissa Benoist’s Supergirl to begin filming his guest appearance and visit to the Girl of Steel’s show! Via Grant Gustin’s official Instagram page, the Glee acting veteran who now plays Barry Allen and his Scarlet Speedster alter ego has taken a selfie with Melissa Benoist, herself a alumnus from Glee who now plays Kara Danvers/ Supergirl, the young cousin of Superman! As teased in this week’s episode of The Flash on The CW “Welcome to Earth-2“, Supergirl has been apparently confirmed as another world in the “DC Multiverse“, which is multiple worlds containing different versions heroes and villains that has been a staple of DC Comics lore that explains the multiple earths and histories of its characters. Now DC TV aims to do the same with the upcoming Supergirl episode “Worlds Finest“, which refers to the Multiverse apparently but is also a nod to the classic team-up term mostly associated with Superman and Batman save for missing the apostrophe in the original “World’s Finest”. 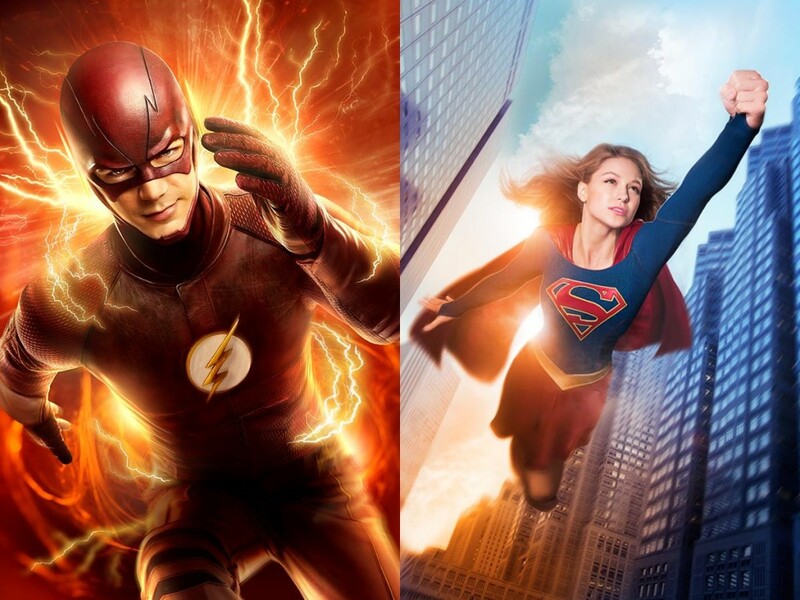 Catch the Supergirl and Flash team up on her show this coming March 28! Next articleWarner Bros. unleashes the Final trailer and posters for Batman v Superman: Dawn of Justice!